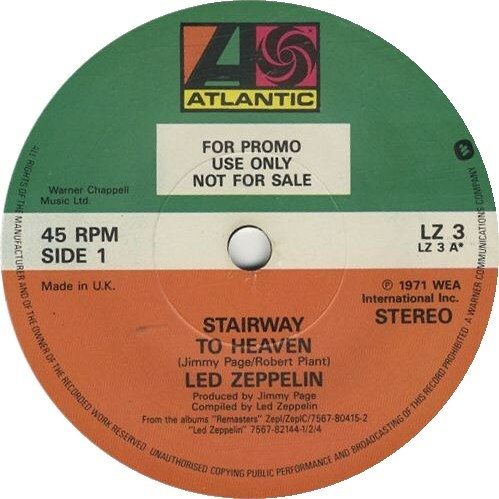 Here’s the story on the rare Led Zeppelin “Stairway To Heaven” 7 inch promo single. “Stairway To Heaven” was released on Led Zeppelin IV in November 1971. The band’s recording label, Atlantic Records wanted to issue this track as a single, but the manager Peter Grant refused requests to do so in both 1972 and 1973. A handful of rare original seven inch promos were pressed at the time, accompanied by a humorous in-house memo (Atlantic LZ3), which are now extremely sought-after collectors items. 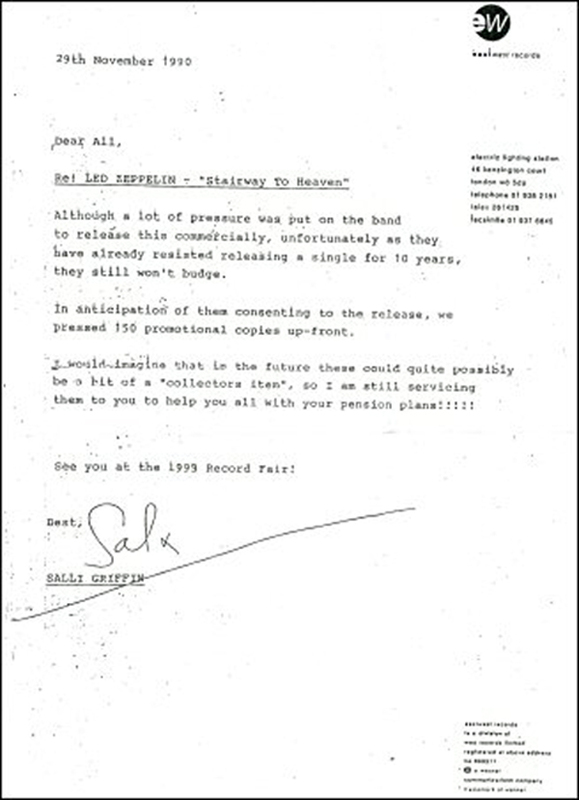 Although a lot of pressure was put on the band to release this commercially, unfortunately as they have already resisted releasing a single for 10 years, they still won’t budge. In anticipation of them consenting the the release, we pressed up 150 promotional copies-up front. I would imagine that in the future these could quite possibly be a bit of a “collector’s item” so I am still servicing them to you to help you with your pension plans!!!!! See you all at the 1999 record fair!